Mr & Mrs Santa Claus Christmas Kitchen Chair Covers for Only $5.09! You are here: Home / Great Deals / Amazon Deals / Mr & Mrs Santa Claus Christmas Kitchen Chair Covers Only $5.09! Ships FREE! 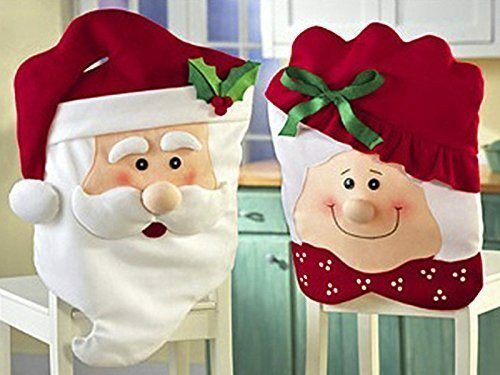 Mr & Mrs Santa Claus Christmas Kitchen Chair Covers Only $5.09! Ships FREE! These are so cute!! Head over to Amazon and get the Mr & Mrs Santa Claus Christmas Kitchen Chair Covers for Only $5.09! Shipping is FREE!